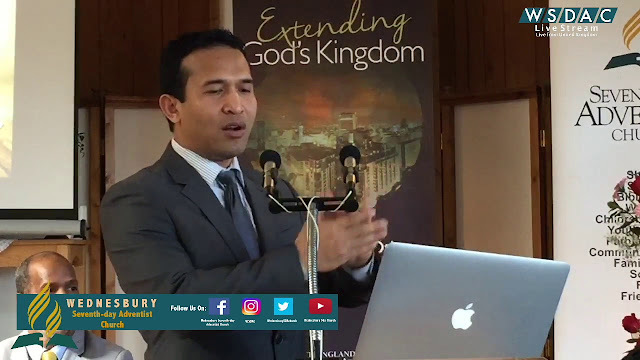 Pastor Dan Majaducon, a Filipino theologian currently pastoring in the United Kingdom, explained that President Rodrigo Duterte's infamous "stupid God " remark is supported by the church's abandonment of the story of creation in Genesis decades ago.
" Most, if not all of the recent controversies involving the Philippine priests, pastors and citizens arising from Duterte’s statements are irrelevant and non sequitur to the current epistemological considerations the Church holds regarding man’s origin," he said. He said that God needs no defense from the people, who are in fact only defending their own beliefs. "So these pretexts and efforts about defending God are misplaced efforts. People’s impassioned reaction to the President’s remark about God is not really about defending God. They are defending themselves and their feelings more than anything else. It is their own honor, their own pride, security and their reputation at stake—never God’s." 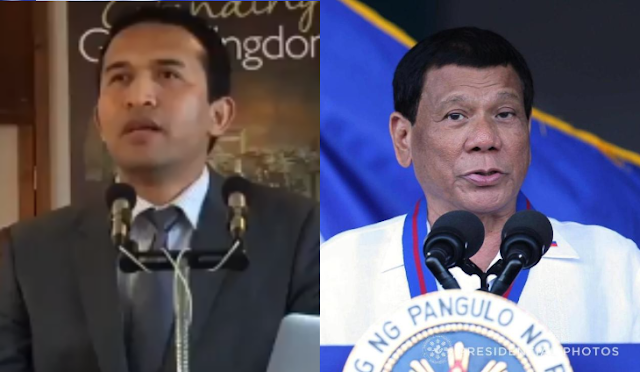 Majaducon said that the citiznes should not rush to contradict Duterte and defend God, citing a biblical reference, Exodus 20:7, You shall not take the name of the Lord your God in vain, for the Lord will not hold him guiltless who takes His name in vain”, claiming that God is untoucable and can defend himself. He said that while the President may rattle institutions, he cannot rattle God himself. However, he said that Duterte was taken out of context, not having insulted God but a story of creation of the Catholic church. "However, what I understand from Duterte’s entire statement is his denial of the particular God of Creation as presented or shared by the Church to him. Perhaps what he related in his speech is his recollection of this particular teaching from his early life. He narrated of the Catholic teaching of Creation where God “doubted” our first parents and commanded the serpent to tempt Eve which led to our first parents’ fall. It is obvious that he did not accept this kind of God who would frame His creatures to sin," he said. "It is plain to me that the adjective “stupid” he used, applies to the particular kind of god he thinks the priests serve. This is as far as his understanding (not mine) of their teaching is concerned. This, I believe, can be one of the reasons of his mockery. However, “stupid god” cannot be taken to mean that this is his final description of the God of the universe that he claims he believes in," he added. The pastor said that Duterte, who was abused by a priest before, may have closed his mind to that priest's church and its teachings. He noted that the biblical creation story was rejected by the church's head, Pope Pius XII who was pope from 1939-1958. He noted how Pope Pius XII, Pope John Paul II and Pope Francis - three Sovereigns of the Vatican and Supreme heads of the Church have already accepted the idea that humans and things around us evolved and that God did not create nature in an instantaneous manner as narrated in Genesis. "That the church has long ago abandoned the Biblical account of Creation and weakened the unadulterated Creation narrative in Genesis including the teaching of Jesus Christ, is an axiomatic truth. Whether a member, a local priest or a bishop of the Church accepts this or not, has knowledge on the Church’s hybrid teaching of man’s origin or not, is immaterial. According to Roman Catholic doctrine, a Pope speaking ex cathedra on issues of faith or morals is infallible, and thus, what the Bishops of Rome have declared, are authoritative and final." It is my intention that my comments in this piece remain religious in nature and should be seen apolitical. Brouhahas abound surrounding the recent remarks of the Philippine President. Both the President and the Clergies have crossed over the boundaries that divide them. There is a clear and loud call amongst Christians to defend God against the Philippine President. It is apparent to me that Christians treat God more like a delicate, soft flower, needing to be tended and protected. Does an Omnipotent God really need our defense? “You shall not take the name of the Lord your God in vain, for the Lord will not hold him guiltless who takes His name in vain” (Exodus 20:7). In the above command, it is The Lord Himself who has the prerogative to serve His justice to the culprit and take care of His Good Name. God doesn’t need our defense. He is untouchable. He is immovable. He is the Almighty. He has thousands of ways to defend Himself. Regardless of what you say about God, He remains the same. The truth of the matter is, God remains the same while everything passes away. Duterte is simply a human being in his sunset years. He can shake or challenge institutions, religious or secular, yes. But God Himself? Not in a million years. So these pretexts and efforts about defending God are misplaced efforts. People’s impassioned reaction to the President’s remark about God is not really about defending God. They are defending themselves and their feelings more than anything else. It is their own honor, their own pride, security and their reputation at stake—never God’s. However, what I understand from Duterte’s entire statement is his denial of the particular God of Creation as presented or shared by the Church to him. Perhaps what he related in his speech is his recollection of this particular teaching from his early life. He narrated of the Catholic teaching of Creation where God “doubted” our first parents and commanded the serpent to tempt Eve which led to our first parents’ fall. It is obvious that he did not accept this kind of God who would frame His creatures to sin. The Bible is clear that God tests people but He does not tempt anyone (James 1:13). The purpose and objective of testing is to refine one’s faith and character, while temptation is designed by Satan for one to fall into sin. It is plain to me that the adjective “stupid” he used, applies to the particular kind of god he thinks the priests serve. This is as far as his understanding (not mine) of their teaching is concerned. This, I believe, can be one of the reasons of his mockery. However, “stupid god” cannot be taken to mean that this is his final description of the God of the universe that he claims he believes in. There are good Catholics over social media who declare that the President has misunderstood the Church’s teaching, and that he is wrong about the “apple” among other things. They assert that their Catechism does not say anything near to what Duterte described. Is he misunderstanding the Catholic teaching about the fall? Duterte has claimed or alleged he was abused by a priest before. Was that ugly memory in the past removed his trust of the priests and consequently muddled his understanding of their teachings? Pope Pius XII previously stressed this essential point that if the human body takes its origin from pre-existent living matter, the spiritual soul is immediately created by God. In other words, and in essence, let the human organisms evolve from pre-existing living matter, that’s fine. Evolutionists and scientists can bring their theory about how we began. The church is fine that evolution gave us the physical body or that we came from single-celled bacteria and then monkeys, that’s alright. However, God supernaturally created the soul! That God created soul and placed it into the body is among “certain fixed points” the Church is trying to maintain. This fact is non-negotiable on the part of the church. And we know what soul means to the Church’s teachings. Soul is immortal and can live and continue to exist outside of the body. It will suffer in hell (if not good enough to go to heaven) but not even hell can kill it. Originally, immortality of the soul is the belief of all pagan and Eastern religion but it found its way into the Christian Church. Anyhow, the account in Genesis is clear that all living or non-living things on this planet did not evolve and certainly not by chance or through natural selection in a lengthy process of evolution. All came fresh from the hands of God by divine fiat, fully formed, perfect and completed within six literal days and on the seventh He rested, according to the second book of the Bible called Exodus (Exodus 20: 11) to further confirm that the account in Genesis chapters 1 and 2 are accurate. By the way, Exodus 20:11 is part of the Ten Commandments written by God Himself. This is the reason why there is no historical or astronomical explanation for the existence of the seven-day week cycle apart from the Genesis account of Creation. This seven-day week cycle debunks the proposal that Creation took billions of years. The seven-day week that we have today observed worldwide, contrary to the day, the month and the year, is tied to no astronomical cycle. Science cannot explain this except by appealing to history. And history declares that the most consistent accounting for the seven-day week all over the world is found in the ancient recording of Creation in Genesis. We have seven days each week because we inherit and carry it over from Creation. Notice Pope Francis’ rejection of ex nihilo account of Genesis that by God’s word only, all things came to exist out of nothing. He is plainly rejecting the record of God who says, “‘Let there be light’, and there was light” (Genesis 1:3). Please also note that he uses the word “develop” alluding to evolutionary belief that different kinds of living organism developed from simple to complex forms. “Have you not read that He who made them at the beginning ‘made them male and female ..” (Matthew 19:4). It is without any shade of ambiguity that the teaching of the Catholic church concerning man’s origin or the existence of this planet or the universe for that matter is no longer solely from the Holy Scriptures or from the teachings of Jesus. In summary, Pope Pius XII, Pope John Paul II and Pope Francis - three Sovereigns of the Vatican and Supreme heads of the Church have already accepted the idea that humans and things around us evolved and that God did not create nature in an instantaneous manner as narrated in Genesis. That the church has long ago abandoned the Biblical account of Creation and weakened the unadulterated Creation narrative in Genesis including the teaching of Jesus Christ, is an axiomatic truth. Whether a member, a local priest or a bishop of the Church accepts this or not, has knowledge on the Church’s hybrid teaching of man’s origin or not, is immaterial. According to Roman Catholic doctrine, a Pope speaking ex cathedra on issues of faith or morals is infallible, and thus, what the Bishops of Rome have declared, are authoritative and final. Therefore, in light of the foregoing facts, most, if not all of the recent controversies involving the Philippine priests, pastors and citizens arising from Duterte’s statements are irrelevant and non sequitur to the current epistemological considerations the Church holds regarding man’s origin. The Church’s major deviation from the pure Biblical revelation and her embrace of the evolutionary belief and the attempt to twain the latter with church tradition leaves us to accept that . . . Here is the bigger issue. In fact, for Filipino Christians, this is where truth desperately needs defending. I really hope that we open our eyes and be able to identify issues that really matter in our faith. I hope this will not remain the elephant in the room nobody wants to talk about. These recent commotions do not really defend God. These are misplaced efforts. It’s the noise only to defend self, to preserve the status quo and to uphold one’s reputation and institution - not God’s. There is a bigger issue everyone fails to see. William Shakespeare’s title of his comedy is quite apt. There is too “Much Ado About Nothing.” Duterte’s statement surrounding Creation and Fall and his inference of a “stupid god” he does not agree or revere, is outdated, dwarfed and is made naught in view of the current teaching of the Church.